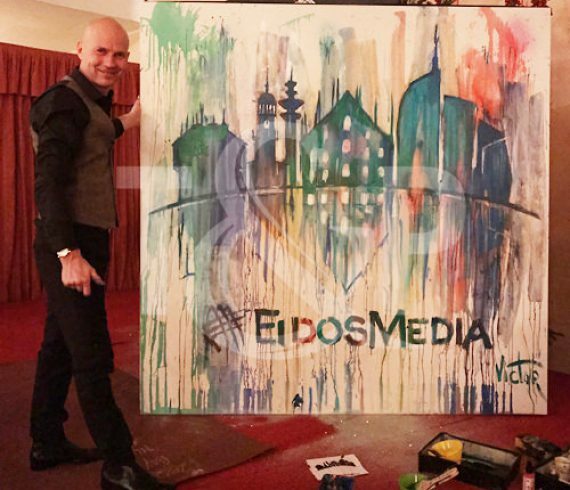 For a leading company in the costemics field, our splash painter artist flew to Sardinia at the Tanka Village Resort (Villasimius, CA). 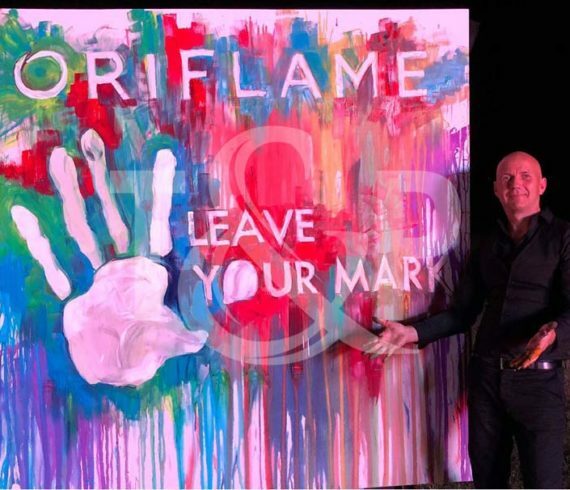 In front of more than 1000 people from 14 different countries, he realized a Splash Painting piece of art as the theme of the event was “Leave a sign”. In just a few mintes our speed painter created a nice painting. On April Fools Day, a sumptuous birthday was organized in Venice, Italy. Our beautiful sword swallower came all the way to Italy in order to entertain the guests. Thanks to her unique style, her bewitching acts and her great beauty, everyone was completely speechless and the event was a true success ! A timeless act that has its own special effect on your guests ! Our great comedian and entertainer was on the Italian TV show with a new performance. His talent? 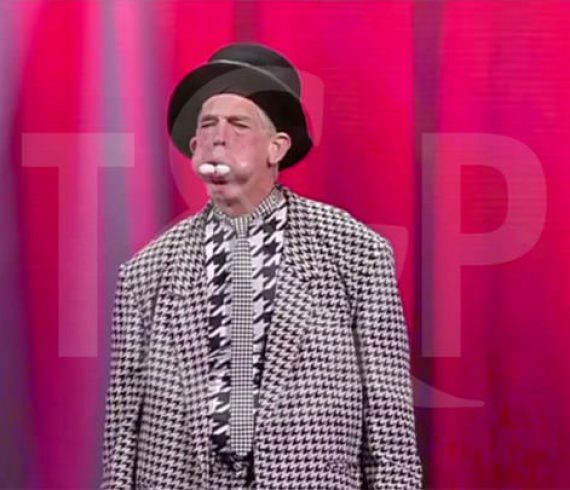 He is juggling with ping-pong balls and can put many of them at the same time in his mouth! Stay tuned for some more news from Italy. Our beautiful swinging poles were just in Italy. The event took place not too far from Verona in Italy at the wonderful Grande Mela Shopping Center. Our swinging poles made a buzz by performing at a few meters from the ground. All visitors were completely astonished by their beautiful performance. Last week-end, our artists were in Rome, Italy for a private event. Inside a true fountain in the middle of the event our artists realized an amazing aquatic show. A mixture of a human statue and a true fountain with water coming out of the performer! Guests really enjoyed the show during the evening. Our LED jugglers were in Italy for to take part in a corporate event. The event took place in Stresa at the Hotel Regina Palace. 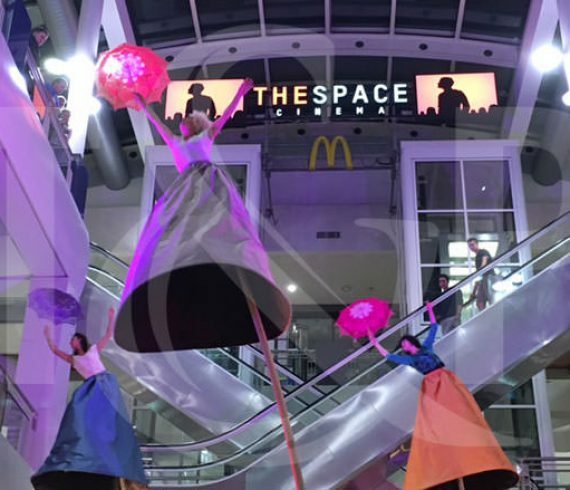 For the occasion our LED juggling duo customized their performance in order to display on their costumes the logo of the client. A huge success! Our team was in Rome to celebrate the perfect wedding with some great entertainment. 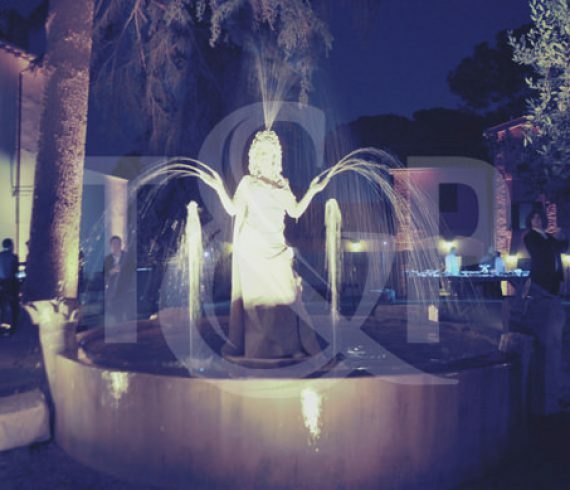 The celebration took place at the prestigious Villa Aurelia. The beauty of the Villa gardens, the breathtaking view of Rome, and the variety of spaces available make Villa Aurelia an ideal location for high-level external events such as receptions, dinners and board meetings. For the occasion, among all entertainment, we had once again our giant balloon from England. More pictures of this exceptional venue and this incredible performance on our Facebook account. Our entertainment agency just took part in the International Jewlery Awards 2015 witch happened in a huge theater in the north of Italy (Vicenza). More than 700 guests from all over the world were assisting the gala. All the event concept was based on the theme of “Alchemy“, the ancient and mystical practice witch looks to the material changing, the elements variability and above all the power of Gold as the most metaphorical and powerful element to reach. The client chose among our talents our La Vision hand balance duo but asked them to paint their bodies in Gold to fit the theme of the evening. The event was a great success and we received some great pictures as a souvenir of this amazing evening.